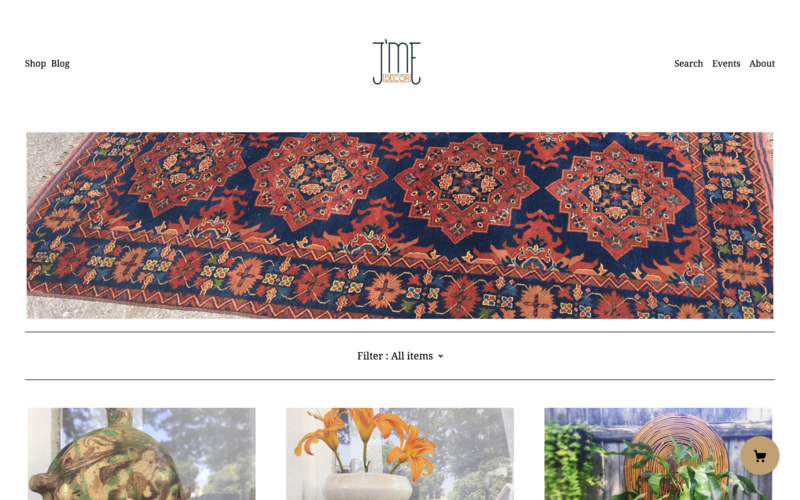 Owned by Jaime Blom, JME decor is an ETSY store with a wide variety of unique interior decorations with Bohemian and mid-century inspiration. Blom studios established JME’s ETSY store and designed the JME logo. 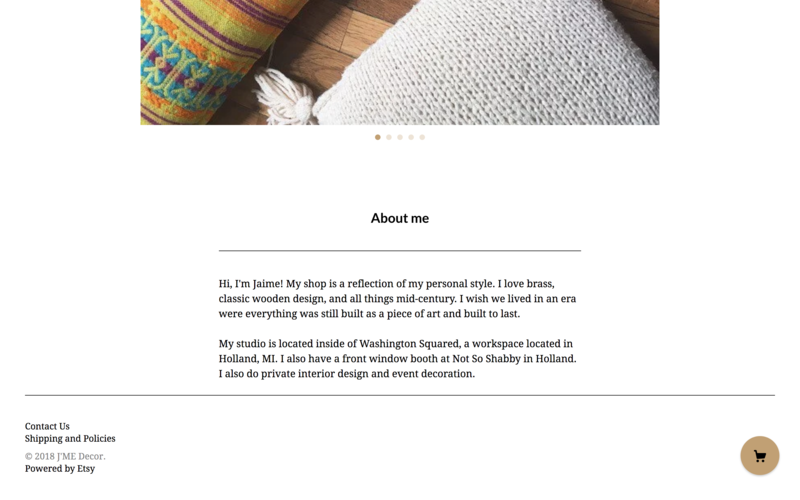 After creating her Etsy store, we designed a new website using patternbyEtsy. 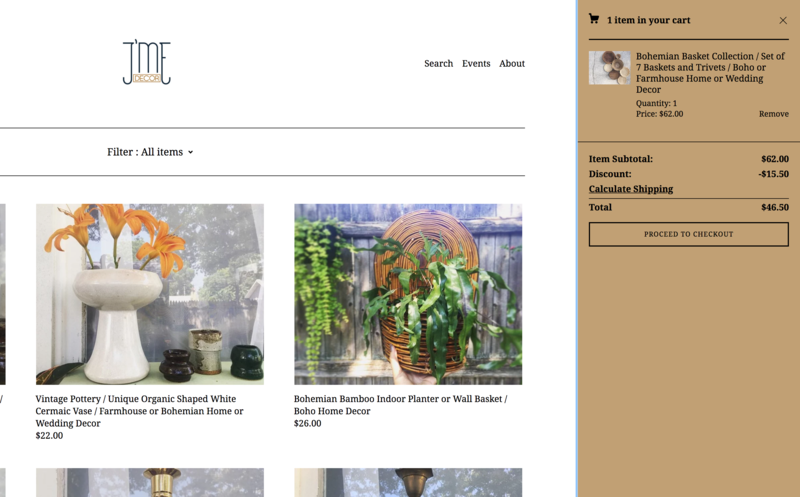 It tracks all of her products on Etsy and allows her to easily manage her business on both platforms.